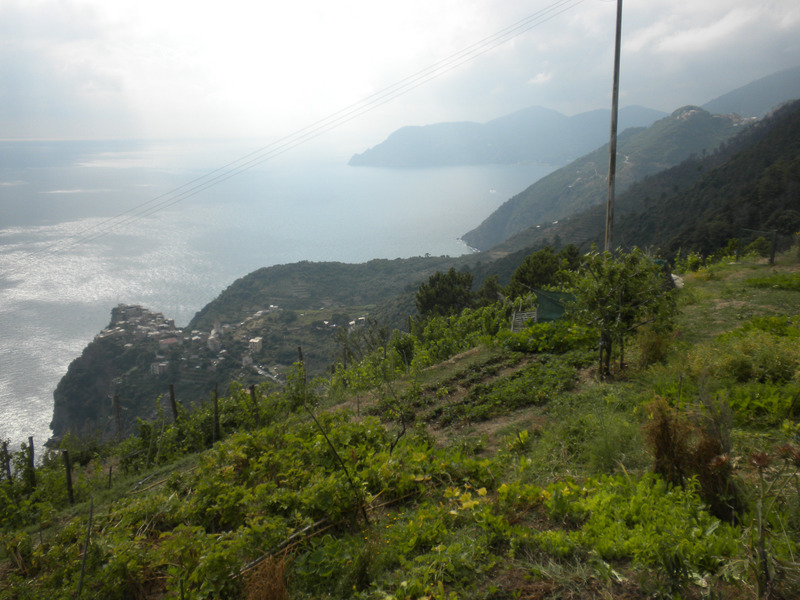 This path, created after the last war, got its title because it links all the sanctuaries of the National Park of the Cinque Terre. Every village have its personal Sanctuary to which the residents are attached by a deep devotion. Walk along the road is a bit tiring but it doesn’t obligate you to have the specific training. The path is all signalled with white and red stripe. To access it from La Spezia, first you have to arrive in Biassa and then the Telegraph Pass (Colle del Telegrafo); instead from the other side (from Monterosso) you need to follow the trail to the Pignone-Levanto until the divarication of the Termine, where you find an entrance to the path. The trail is 3.5 km long, to travel it you will need approximately an hour. The initial point can be founded in the auto parking where the path begins. For a long fragment, the trail corresponding to the Riomaggiore canal, and then it begins going up between the vineyards until it reaches the sanctuary. There are several others path to get it but they are more difficult. P.S. If you want to go to Portovenere - the path starts near the forecourt. This path starts on the Manarola’s car park. To travel it you will need approximately an hour. Take the left split of the path and keep on to the direction of Volastra. Travelling up to the left, shortly you’ll arrive at the Sanctuary. This path takes more than an hour of your time. 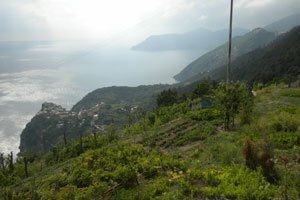 Follow the section Corniglia - Vernazza till Prevo, then turn to the right and, soon after, you will reach a carriageable trail, which you would follow for about 300 meters to Corniglia, until you reach a steep road which will bring you to the sanctuary. This path is 1.2 km long and it takes about 45 minutes of your time. It begins at the railway station, where you would take the way in the direction of the cemetery. Once you get there, continue alongside the ridge headed for the East. The trail brings you to the Via Crucis, which carries you to the Sanctuary’s square. This path is the longest one (2.5 km) and will take an hour and a half, but there is a bus that brings you to your destination if you want. However the trail starts at the end of the via Roma, where the bridle way begins going up, between vineyards and olive trees. You will go through the forests as long as you hit the littoral path which you need to traverse. Persist for another 200 meters and you will get to the Sanctuary.